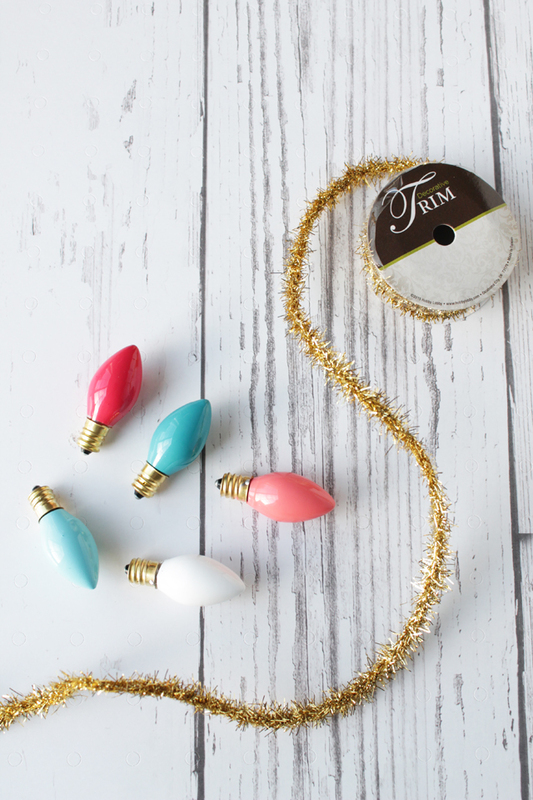 Create your own custom-colored decorative Christmas lights with Americana Decor Maxx Gloss paints. 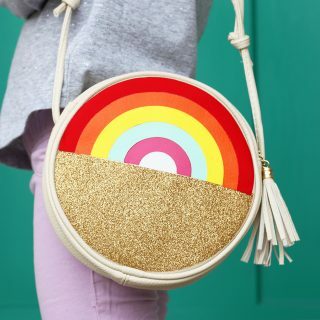 This post is sponsored by DecoArt, all ideas are 100% mine! 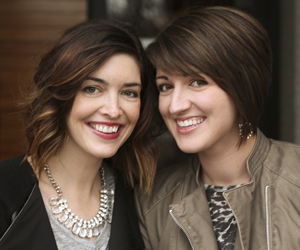 Sometimes I get an idea in my head and I just can’t shake it until I figure out a way to do it! 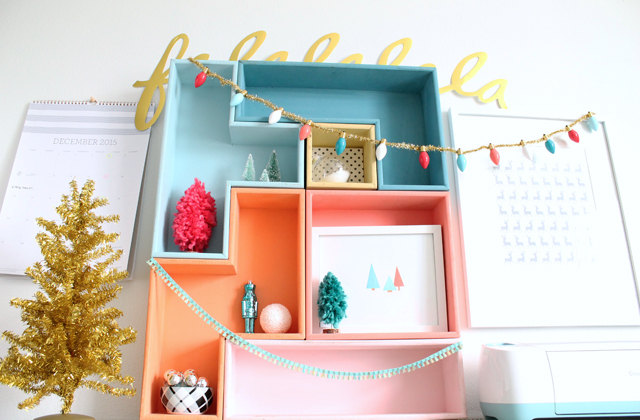 I am decorating for the holidays this year with more non-traditional colors and I wanted to change things up a little in my creative workspace. 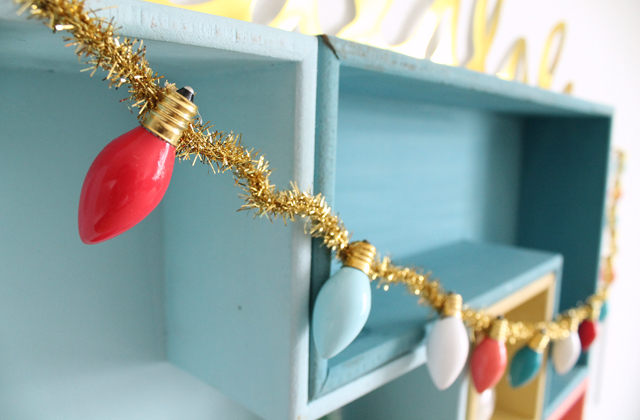 I have the cutest colorful shelves and I really wanted to make a string of vintage looking Christmas lights to hang up above. After a little research, I found out that you can buy the larger vintage light strings in most stores, but they only come in the basic primary colors… red, green, blue and yellow. Bleh. 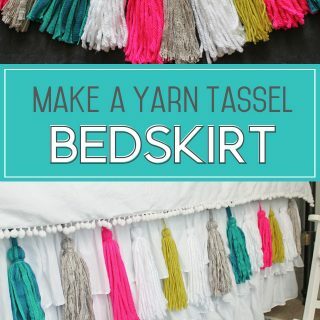 I knew I could figure out a way to make them in different colors to match my decor. I went to Home Depot and found some clear light bulbs in the Christmas lights section for $2.99. 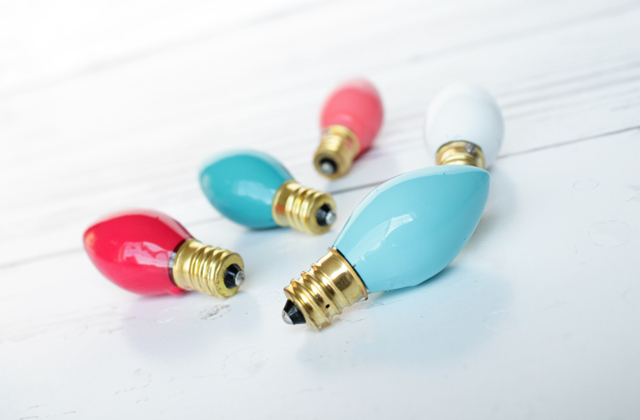 A light bulb literally went off in my head when I realized that with the right kind of paint, I could customize these little babies! 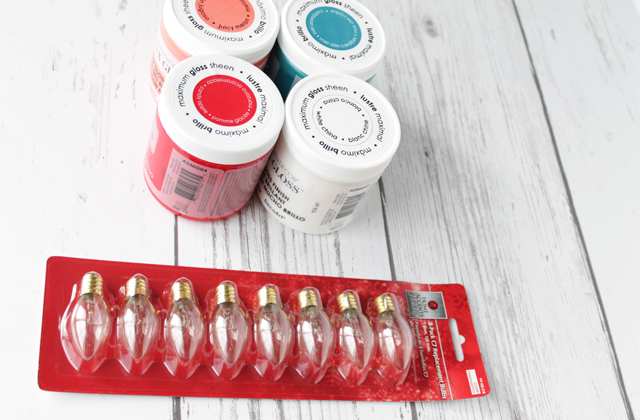 I decided to try the newest line of paint from DecoArt, Maxx Gloss, to get that smooth shiny finish on the bulbs. 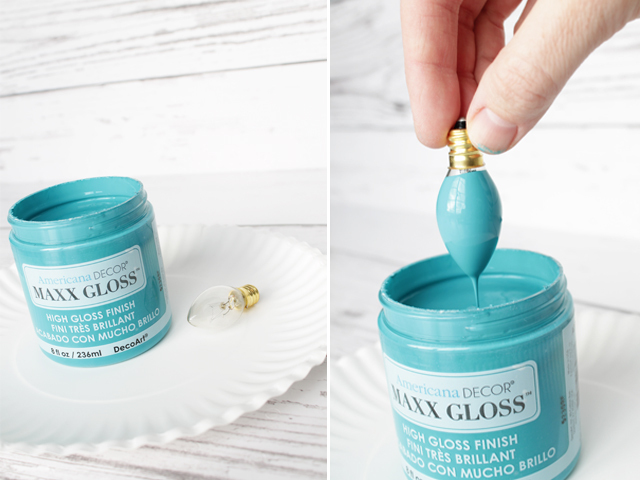 Maxx Gloss paint is really great for winter projects because you will get a super high-gloss finish (similar to an aerosol spray paint) but you can use it indoors. Perfect for the freezing Idaho temps I deal with! 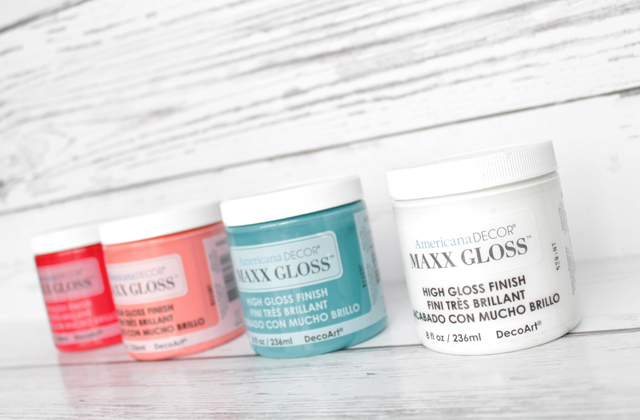 You can find the entire line of Maxx Gloss paint in 20 colors at Home Depot, Michaels, JoAnn Fabric & Craft Stores, and Meijer. For my custom colors, I used White China, Candy Apple, Juicy Melon, and Caribbean Sea. I learned a few tips through trial and error, but the easiest way to get a smooth coat of paint on the light bulbs is to simply dip them directly into the paint. Holding the end of the light, dip the bulb into the paint until the paint almost reaches the gold tip. Then pull it out slowly and let the excess paint drip back into the container. This is the part that takes a little patience! 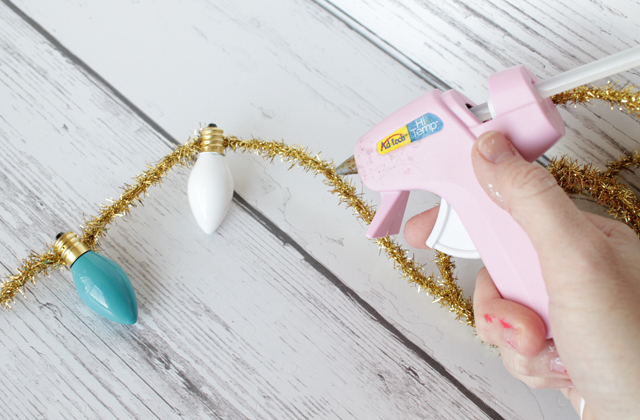 You will have to hold the bulb for at least 5 minutes and let the paint continue to gather at the bottom of the bulb and drip off. 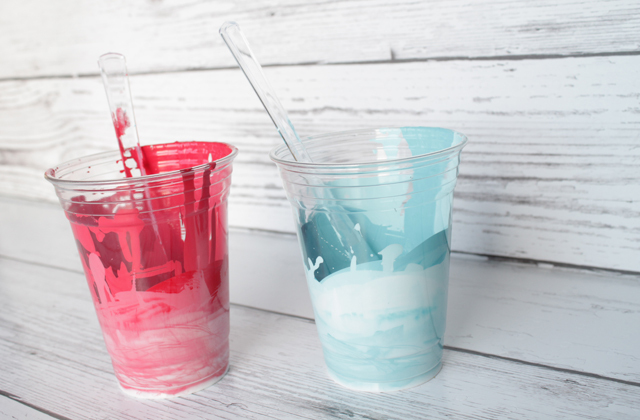 It is essential that you don’t have too much paint on the bulb when you turn it over to let it dry, or the extra paint will start running down and make clumps and lumps. I made all of my bulbs while getting caught up on shows on Hulu! To get the custom shades of light blue and hot pink, I mixed in some white with the Caribbean Blue and Candy Apple shades. I made a drying area for the lights out of an old cardboard chips box. I cut several holes into the cardboard, then screwed the end of a unused bulb into the hole to make sure each hole was the correct size. You could also use a piece of Styrofoam to do the same thing. Make sure to let them dry overnight so the paint has enough time to fully cure. They will be so cute and shiny when they’re done! 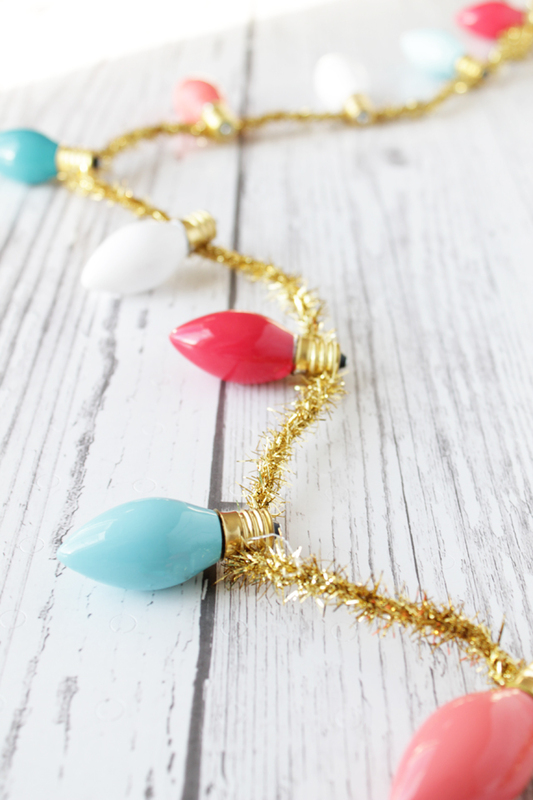 I just hot glued each bulb directly to the tinsel trim to create my garland. I love how they turned out! The idea in my head actually worked!! My desk is so bright and cheery now. 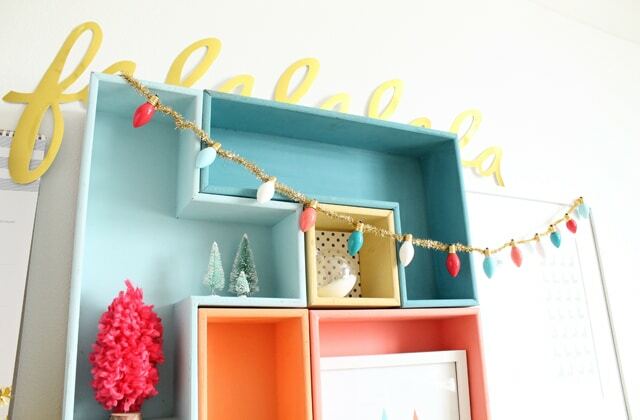 Have you started decorating for Christmas yet? 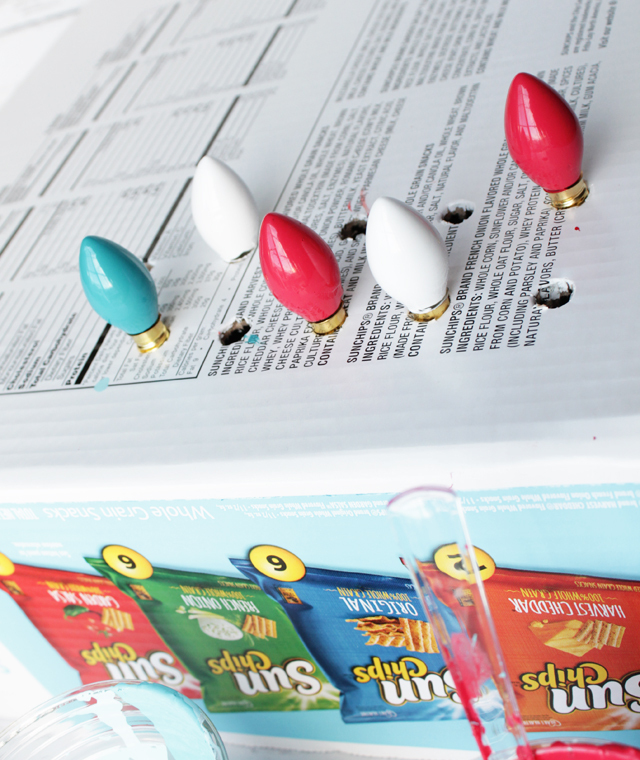 What DIY projects do you have planned? I want to know! love!!! 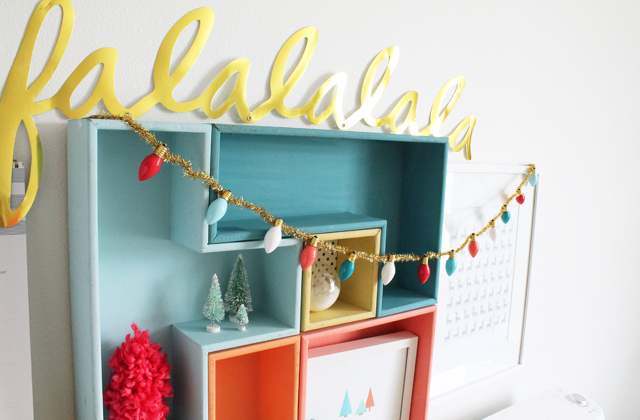 where did you get your fa la la sign? So smart! It turned out perfectly shiny and adorable. Holly this looks amazing! LOVE it!! !